Please reference as: Liz Stanley (2016) ‘Starting: an example’ http://www.whiteswritingwhiteness.ed.ac.uk/HowTo/Starting-an-example, and provide the paragraph number as appropriate when quoting. 1. For happenstance reasons, the Pietermaritzburg Archives Depot in Zwa-Zulu Natal is somewhere I had never done research before late in 2016, in spite of many years of researching in South Africa. This was because my attention had been on the collections at the University of Zwa-Zulu Natal. However, the riots and other disturbances that occurred in South African universities, and that this campus was affected more than most, meant that the university archive became off-limits. Therefore the decision to work in the province-level Archives Depot instead. After arrival, I started by knowing nothing about its collections, how they are organised, and how the place works with regards to what finding aids are available, ordering materials, retrieval and so on. With a few days work, these things became clear, and also I gained a good idea of what the collections are I might want to do more detailed work on and the degree and depth of what might be done on each of them. 1.2 So how did this come about, how was this knowledge gained? The process is outlined below; and while the detail is specific to this particular archive, the basic procedures apply more generally. 1.3 Throughout the process I was working with a co-researcher (Sue Wise) with whom I have worked on many previous occasions, amongst other things on aspects of the concentration camps of the South African War and Olive Schreiner’s letters. We operated a division of labour, in which I directed our activities and we worked on fairly separate things that didn’t involve too much talking, so as not to annoy fellow archive users and staff (or each other!). Then, immediately following each day’s work, we de-briefed so as to share information and give us a sense of the whole. 2.1 There is a short overview of the collections in all the South African governmental archives depots, compiled for each of the four provinces of the old South Africa (the Cape, Free State, Transvaal and Natal). This is their ‘Archivalia’. 2.2 Before leaving the National Archives in Pretoria, where we were working immediately before, I had read the ‘Archivalia’ document for the Pietermaritzburg Archives Depot (which used to be called the Natal AD) and concluded that this archive was likely to be fairly small with its collections focused on official papers of a variety of kinds, while its ‘accessions’ – the collections of personal papers – appeared to be include some larger as well as smaller collections. This was because its Archivalia lists twenty or so of them as having inventories, along with the comment there were others which could be overviewed using its List of Accessions. The existence of an inventory is a sign that a collection is likely to be large and/or significant. 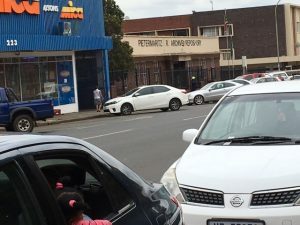 2.3 Although the archive depots in all four former provinces of South Africa used to have a complete set of the provincial Archivalia and also their full Lists of Accessions, this is certainly not so now regarding what is available in Pretoria. I have worked on these documents in the past there, but over time various of them have gone walkies, either lost by staff or stolen by users. So using the Accessions List had to wait until our arrival in PMB. However, from its Archivalia I was able to produce a list of around seven collections which appeared on the surface as possibly suitable for WWW research regarding their longevity, for the time-span of the materials that each of them contains is helpfully indicated. 3.1 Arriving in the PMB archive at opening time on Monday morning, having sussed out its location and the whereabouts of parking the day before, the first thing was to ask the archivist on duty about finding aids, accessions inventories, and more generally about family collections. The latter drew a blank, or rather this was interpreted as a question about accessions, for as in most places in the world, the days of research-archivists have gone and what staff know about is the overall shape of holdings, the range of finding aids available and other broad-brush things, rather than the content of particular collections. 3.2 Two tasks were then embarked on. 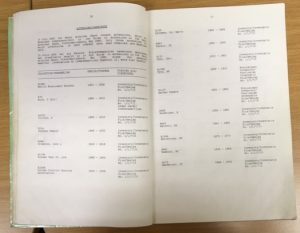 The first was to read through the entirety of the List of Accessions, to add any other possibilities to the list of collections that might be suitable to do work on. 3.3 Doing this, the result was a total of about fifteen collections on the list. The second task followed, and this was to access and read the inventories for all fifteen collections of possible interest. After reading these, those inventories that indicated that content might have interest for our research were jpeged, for digital photography is permissible in this archive, and these were then saved in suitably named folders on my laptop. 3.4 A number of inventories had quite detailed information about the letters they contained, in two instances containing lists of individual letters and who they were to and from. This was an added bonus, and in both cases these were fully photographed, for preliminary figurational analysis can be carried out on such outline information because it is time-structured and the names of figuration members are provided. 4.1 After reading the inventories, one particular collection – the Parkinson Accession – seemed to stand out (it later became apparent this was slightly misleading! but it provided a useful focal point). It is the collection of a well-to-do farming family with a number of children who over time became involved in its activities; and initially at least it seemed to have characteristics in common with the Forbes Collection. Because of this, three of the boxes which the inventory identified as containing the letters were called up – and these were speedily retrieved by archive staff. 4.2 The contents of one of these was skimmed in sufficient depth to identify the kind of material it contained and more importantly how the boxes were organised and also how the contents of each were organised, whether in folders or in other ways. Some very schematic notes were made about this box. A request was made to retain the other two boxes for the next day. End of Day 1. 5.1 The Parkinson Accession was not the only focus of archival desire, for there were some seven or eight other collections that still looked interesting and were possible points of focus. Two trajectories of activities followed. 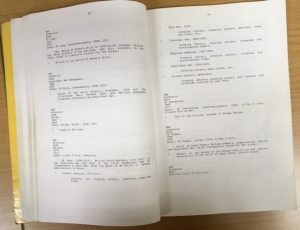 One was to continue sampling the boxes containing Parkinson correspondence, skimming these and writing overviewing notes on the contents of a succession of boxes. The other was to do something similar for each of the other collections on the shortlist: to re-read their inventories, and to call up a small number of boxes containing correspondence from each and to look at the kind of material involved and how it is organised, rather than focusing on any details of content. 5.2 Through this process the Parkinson Accession eventually seemed to be less interesting than I had initially thought and hoped. It certainly has letters stretching over a long period of time and involves the papers of a number of members of the same family. However, most family members appear to have led very sociable lives but from their letters at least not to have done anything very interesting. Most of the letters sampled were of ‘staying in touch’ kinds, although there were exceptions to this, with one brother a stock inspector and one sister the main farmer in the family. But nonetheless, overall these letters stretch over a long period of time and are of an ‘ordinary family’ of the middling sort, and therefore the collection remains on the list for full WWW research on it. Tuesday’s work had reviewed eight or so Parkinson boxes and a few boxes from a variety of other collections. End of Day 2. 5.3 The second trajectory of activity (persued as light relief between more Parkinson boxes) showed that a number of other collections remained of interest, but with it being specific features of these that caught the attention. The Fynn Collection contains the papers of a very racketty pair of brothers, both of who were married to numbers of African women (‘gifted’ by King Shaka, so refusal could have meant death). The Crompton collection has interesting letters, although the Cromptons were certainly not ‘ordinary people’ but part of the political elite. The Lys Accession has interesting diaries and letters. There is a subset of the Hathorn collection concerned with the early days of diamond mining. And so on. These investigative activities were carried out on days 3 and 4. 5.4 At the end of Day 4 (which ended two hours early on Thursday at 1:30 pm), the two of us working together had reviewed a total of 26 Parkinson boxes out of 97. As well as letters, these boxes also contained some diaries by three members of the family. These too were quickly read through and notes made. In addition, five other collections had also been reviewed in some detail and with multiple boxes from each having been worked on. These are the Crompton papers, the Lys accession, Hathorn letters, aspects of the Fynn papers, and letters in the Stabb collection. 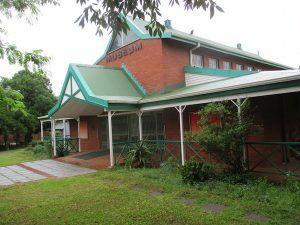 5.5 We also both concluded that the Pietermaritzburg AD is one of the best organised and the most pleasant of any of the archives we have worked in in South Africa. Its staff are friendly, helpful, knowledgeable and efficient, and documents are retrieved very quickly. We went away looking forward to returning for a possible closer engagement with some of these collections. 6.1 In addition to what has been sketched out above, another lead regarding a related family collection also opened up. This concerns a family related to the Parkinsons through marriage, the Methleys. Iit is described in various leaflets and brochures as kept in the Museum in Howick, a small town not far from PMB. 6.2 In part, evenings have been spent using Internet sources. As with the National Archives, the PMB Archive has a blank-out on Internet connections, so this cannot be done in situ. It wa this evening activities that revealed the existence and whereabouts of a Methley family collection. Other than that there was a family collection, it was quite extensive and that a very interesting article about it had been published in the 1990s, no other information could be found. Repeatedly telephoning the Museum to arrange a visit and access produce no response, the telephone rang but no one ever answered! As a result, Day 5 was planned as a visit! 7.1 A planned meander through the Natal Midlands had to be abandoned because cloud and rain were so low and persistent that nothing could be seen apart from ghostly shapes of cars and trees, a continuation of the weather front of the previous few days. But the visit to Howick still took place even though we didn’t find the Methley collection. 7.2 Conversations with a curio shopkeeper, a cafe owner, a bookshop owner and three women at the Information Centre at Howick Falls provided the information that the museum had closed about three years previously following a strike and an arson attack, with its exhibits and collections having been taken to PMB for restoration; and at some point it may re-open, but bureaucracy and perhaps corruption are delaying things. However, no one in the Pietermaritzburg Arts and Culture departments (which seems to oversee the museums) had known anything about the Howick Museum, when they were asked on our behalf by the PMB archivist. Even recently printed information still lists the Museum in Howick and its opening hours. 7.3 For the forseeable future, any idea of working on the Methley collection has to be given up. 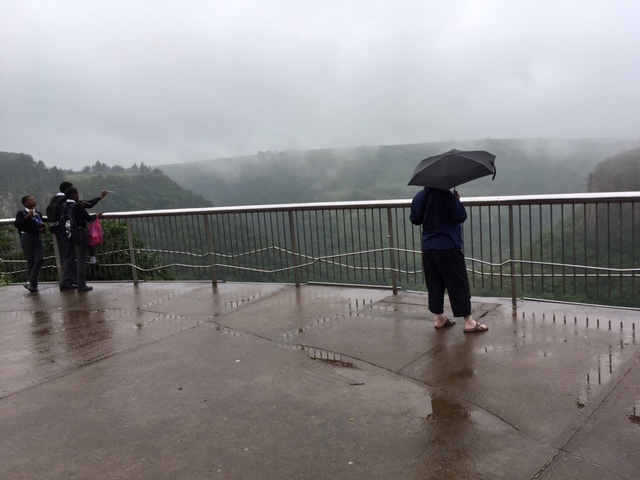 End of Day 5 after seeing Howick Falls (spectacularly grim in the rain) and returning to PMB base.